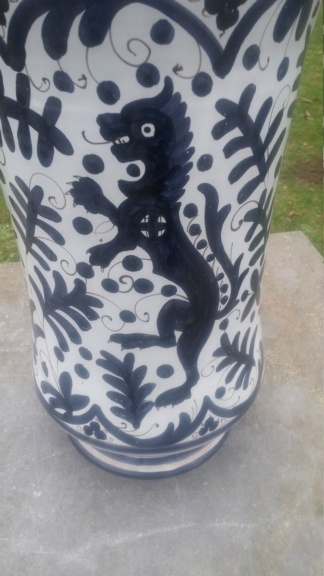 My dad has asked me to help him ID the maker of this vase. 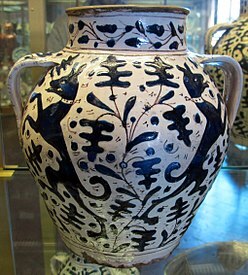 It's about 53 cm high (including the lid), weighs about 5.5 kg and he thinks it's porcelain (I live abroad so I don't have physical access to the vase myself, all I have are these pictures). 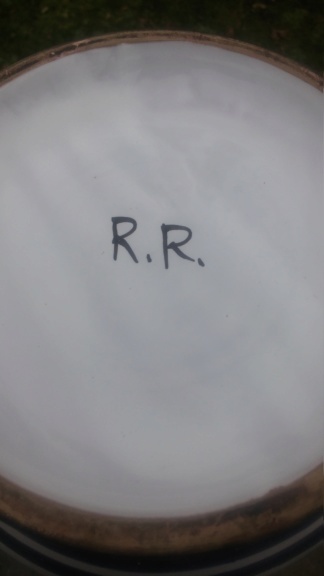 The bottom is clearly signed with R.R. and my dad can't find any other signs / marks. 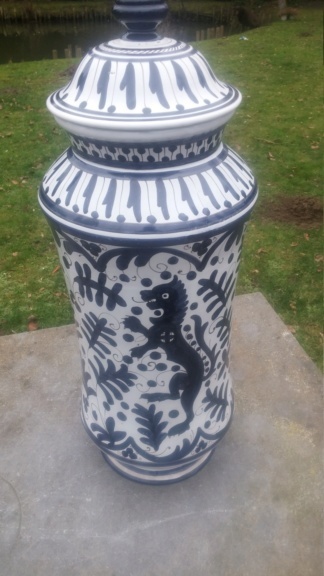 Would any be able to help find out a bit more about this vase? Many thanks in advance for all your efforts. It was made in or around Florence in Tuscany. 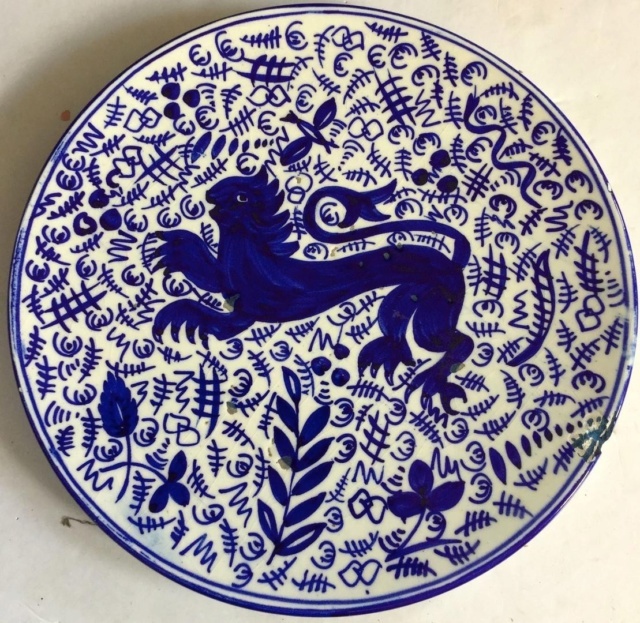 It’s a modern copy of a traditional design, featuring a rampant lion and stylised oak leaves in cobalt blue against a white tin glazed (maiolica) background. The potter has added their initials but they have been made for hundreds of years in the region so who made this one probably isn’t important. Any idea about the value of this piece and how recent this might be?